B R Logistics provide a Fumigation Treatment For Pallets that are used in export packing. We use high quality fumigants for the fumigation of the wooden pallets, prior to the shipment of the consignments. It helps the wooden pallet to last longer by erradicating pests such as wood borers. We are providing Pallet Fumigation Services for all Commercial and Industrial spaces. The Pallet Fumigation Service provided by us is highly acclaimed for its time bound and efficient provision. This type of fumigation involves sprinkling of pesticides which are available in the form of pallets. This service is provided strictly as per industry specified quality guidelines by using raw materials and technology of the best quality. Owing to our expertise, we have been able to offer our clients an excellent quality Pallet Fumigation. 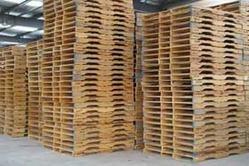 Backed by our skilled professionals, we are involved in providing Wooden Pallet Fumigation Service. Our technical officers are well experienced and have thorough knowledge to perform stack fumigation. Results of our fumigation services are exceptionally reliable. Our technical officers perform the stack fumigation with the modern equipments which result the fumigation effects in its best possible manner. 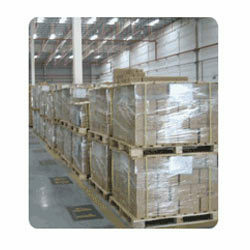 We provide a Fumigation Treatment For Pallets that are used in export packing. We use high quality fumigants for the fumigation of the wooden pallets, prior to the shipment of the consignments. It helps the wooden pallet to last longer by erradicating pests such as wood borers. We are a reputed firm for offering Fumigation Services for Wooden Pallets. Wooden packing material is made up of raw wood that may not have undergone sufficient processing or treatment to remove or kill pest & therefore become a path of introduction & spread of pest & infection.